Should You Put Unexpected Cash Toward Credit Card Debt? Whether you win the lottery, get a bonus at work, or simply find $100 in an old jacket, unexpected cash can come from anywhere. They can be pretty exciting, too, giving you extra wiggle room in your budget and maybe even allowing for a fun purchase or two. If you are trying to dig your way out of credit card debt, it might even be tempting to throw all of that extra cash at the balance. But if deciding between financial goals like getting out of debt or establishing adequate savings, which should be the biggest priority? Well, the answer depends on a few things: whether you are walking around with high-interest credit card debt, and whether you have any emergency savings on-hand. Less than half of Americans today have enough emergency savings to cover an unexpected expense. This means that if they have a dental or medical issue, if the hot water heater springs a leak, or if the power steering goes out in the car, they are up creek without a paddle. Failing to have at least $500-$1,000 set aside in a dedicated emergency fund means that even a small expense can have a huge impact. Many people assume that they will lean on their credit card if an issue arises. While this is an option, it’s not a very wise one. Not only will you pay interest on those charges if you don’t pay the full balance right away, but you also risk spiraling into consumer debt – a surprisingly easy thing to do. You’re also likely to spend more on that emergency expense when putting it on a credit card versus paying cash, meaning that you could set yourself back even further in the process. If you’re walking around with credit card debt, you already know the danger of plastic. You see the interest charges each month, and it may even be weighing heavily on you. Believe me, as someone who fought their way out of credit card debt, I understand the need to clear out those balances as quickly as possible. And a few years ago, I would have thrown any and every windfall at that debt in my attempt. However, this isn’t the right approach. At least, not if you don’t already have emergency savings on-hand. The best way to ensure that you avoid an emergency credit card situation – where you’ll only dig yourself further in debt and cost yourself more in interest – is to build up a safety net: an emergency fund. By setting aside at least $1,000 in an easily-accessible account, you’ll rest easy knowing that an unforeseen circumstance won’t wreck your budget. 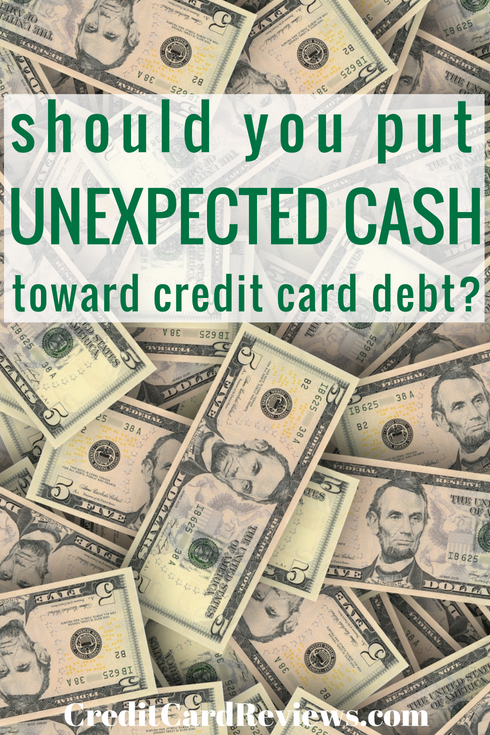 So, what if you are carrying around credit card debt, already have a small emergency fund established, and then come into some unexpected cash? Well, assuming that you have at least $1,000 stashed away for a rainy day, your credit card balances should now take priority. The goal should be to build up an emergency fund that can support six months’ worth of your expenses. However, when you have credit card balances that are costing you upwards of 15-20% in interest each month, they take precedence. 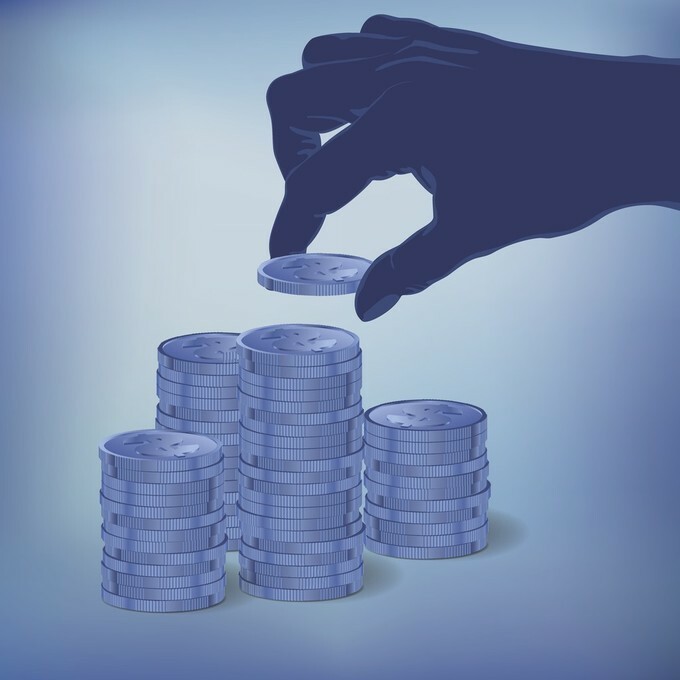 By throwing any and all windfalls in the direction of your high-interest debt, until it’s entirely paid off, you will save yourself money and even clear up space in your budget. So, to recap: if you come into some cash and don’t have an emergency fund of at least $1,000 built up, that is your number one priority. No matter how much or how little credit card debt you are carrying around, building a safety net as soon as possible is more important. That way, you won’t rely on those same balance-carrying cards the moment another emergency comes up. Once you have a modest amount tucked away for a rainy day, though, you should direct all of your focus on credit card debt. Interest rates can turn those small balances in to overwhelmingly large burdens, and quickly. By throwing any and all windfalls at that debt, you’ll save yourself money, ease up your budget, and reduce your stress all at the same time.